Vicky was introduced to Sitting Volleyball by a friend and she was hooked to the sport when she discovered it is an exciting and dynamic team game. 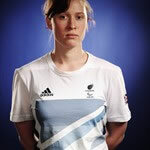 25 year old Vicky is classified as a MD athlete after she had a motorbike accident when she was 18 years old, and has now earned over 15 GB caps and made her debut for the team at the 2010 Kent International, where the team competed against China. On the court, she is considered to be a universal player (Hitter, Blocker, Passer, Libero). Vicky gained a post graduate degree from Canterbury Christchurch University in Psychological Wellbeing Practice, and she now works as a Psychological Wellbeing Practitioner. She is currently studying to become a Psychotherapist/Counsellor.